I know we already have a post like this but this is going to be a list of each item, i don't want people to just say Meg's or poorboys, i want the actual product and i don't want people to just list all the products they use, as most products are good i want the ones that actually stand out for you. So no Spam and chat please! *Poorboy's Waffle Weave Drying Towels - Makes drying so much easier and holds alot of water. *Euro W Lambs Wool Wash Mitt - i prefer to use this than the MF one as is softer to the paintwork. *ClearKote Quik Shine - I used this a my Clay lube and it works really well, but i've also used it as a waterless wash and give a great shine. *Poorboy's Velvet Smooth Ultimate Finishing Towel XXL - really good for buffing to a good shine. 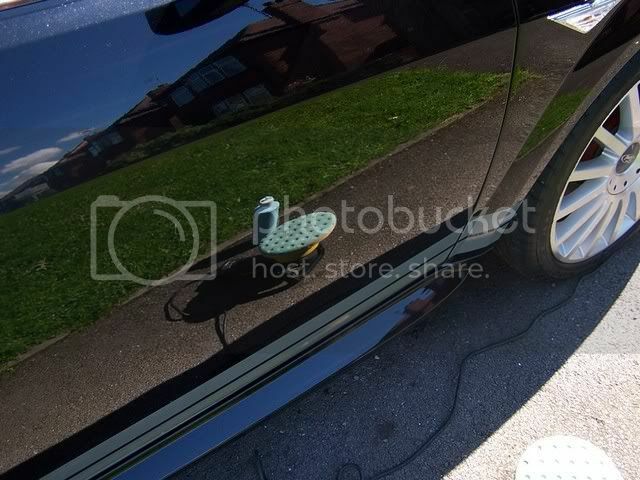 *MeguiarÃƒÂ¢Ã¢â€šÂ¬Ã¢â€žÂ¢s #7 Show Car Glaze - gave a really good shine and refelection even on my white paintwork. Poorboy's Deluxe Mega Towel - Found them brilliant for removing the wax and to buff to a shine. *Poorboy's Natural Look Dressing - Cleans as well as giving a shine and dosen't attract dust like some. *PoorboyÃƒÂ¢Ã¢â€šÂ¬Ã¢â€žÂ¢s All Purpose Cleaner - Used it on my carpet, was gobsmacked how well it worked, it removed oil off the carpet which i wasn't expecting! I thought my car was clean with decent paint work but after looking at jonosi's at FITP I realise there is a lot I need to do. 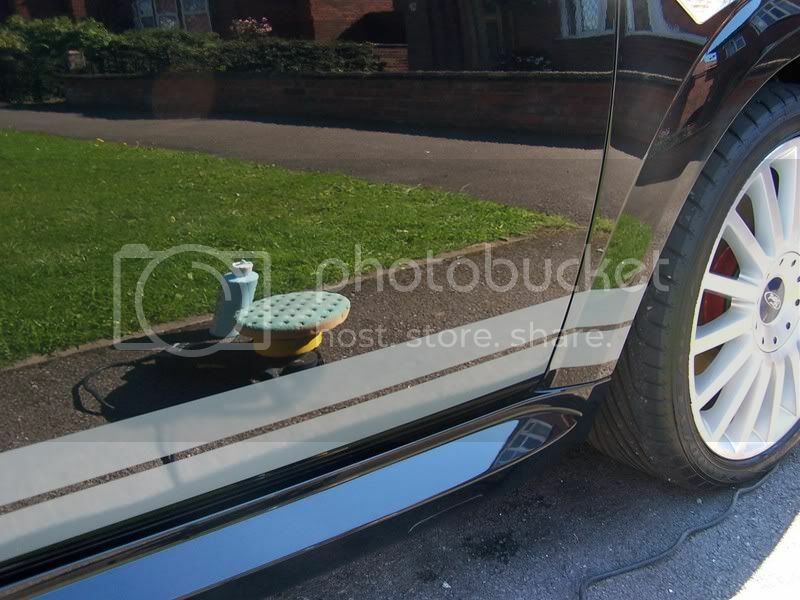 Finally what cloths do you all use for removing polish, I've got a couple but the static they create means the car attracts lots of fluff and dust just after cleaning. I did the daughters Fiesta first (test bed ) and then mine Mondeo ST, I think the results are awesome and this product is well recommended, best I 've used. Breaks down nicely into a fine polish so removes the need for an interim polish prior to wax. fair comment, i think sometimes its finding the right combination, polish and pad. 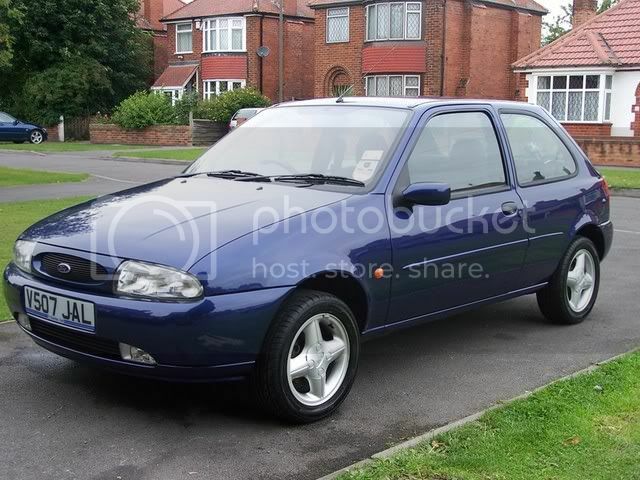 The daughters fiesta was heavily swirled and i wouldnt call ford paint soft. On our site, We only sell recommended products. There for you can trust any product on there! We also aim to be the Uk's Cheapest! Which is a bonus! If you require any advice or feedback on any product, Please just ask, as i use these day in day out. first time ive understood car detailing i just figured you got a good finish from a good polish! shows how inexperienced i am. planning on taking my car off the road for a bit but i want to leave it in there in the best possible condition! would anybody be able to give me a total price on how much all of that stuff would cost? Just because i've generally been looking into everything for future reference.. Heres a rough guide to most of the stuff either on this list (mostly) or a randomly picked one by me for reference.